Nowadays there is hardly an interior design publication which does not contain at least one article on Feng Shui, the one-thousand-year-old Chinese tradition of the harmonious arrangement of sacred buildings, graves, palaces and streets. The universal value systems of Buddhism and Zen and the principles these involve, such as an affinity with nature and life energy, have left a deep impression on Western lifestyle and have had an important influence on today&apos;s trends in design and architecture. 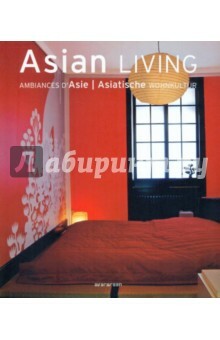 This volume attempts, with its selection of particularly interesting and concise examples, to present the inexhaustible variety of Asian living and lifestyles.